There sure are! Hundreds for that matter. Many of these waterfalls can be explored as a day trip from Halifax and provide a great break from the city to venture through unfamiliar territory and fill your lungs with that much needed acceleration you get from breathing in fresh clean air. A tingling feeling that most of us lack in our daily lives, you owe it to yourself. Maybe you want to pack up the family and wade around a secluded swim hole? Maybe you’re looking for great way to please that girl you just starting dating from your favorite local coffee shop? Whatever your intent there are waterfalls out there that can cater to just about all ages – nature is cool like that. 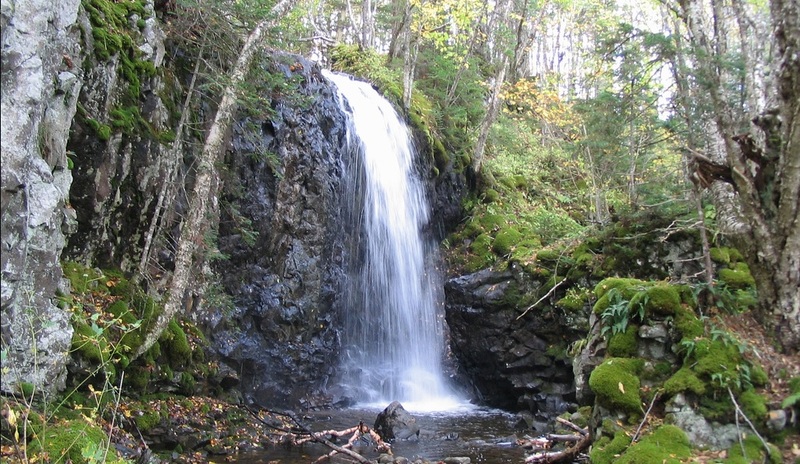 Take the Annapolis Valley for example, dropping from the volcanic ridge of the North Mountain are dozens of waterfalls, many easily accessible, others offering a bit of a challenge to those searching out adventure. Here’s a look at a few of my favorites not to far from the popular university town of Wolfville. Baxter’s Harbour Falls: How tall are these falls? 20ft? 40ft? Well that depends on where the tides are during their daily cycle. During high tide the falls can only be viewed by land from a fair distance, when the tides are out however you are able to walk the rocky beach right up alongside the falls themselves, which now drop uninterrupted to meet the exposed ocean floor. You’ll notice to the right a dark sea cave that was said to be used by pirates to hide their stolen goods during the 1800′s – cue the spooky music. If the tides are still on their way out the towering sea stacks in this harbour make for some great exploring. Keep in mind the tides here come in at a scary rate and you don’t want to be swimming with the fishes or end up being washed out to sea, these tides are not to be underestimated and taken lightly. Porcupine Falls: Named for the family of Porcupines that have constructed a den near the base of these falls. There are roughly 5 waterfalls on this small brook, each getting taller and more impressive as you follow the brook downstream towards the Bay of Fundy where it eventually meets with the world’s highest tides. 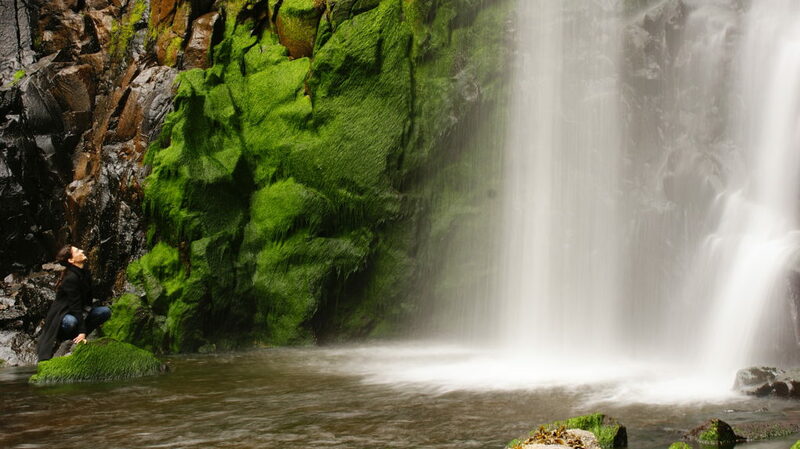 The tallest of these falls leaps over a 20ft mossy draped ledge of rock before winding it’s way through this mixed forest towards the ocean. Black Hole/Haunted Falls: Whichever name you may know them as, one thing is certain, both names refer to its eerie past. 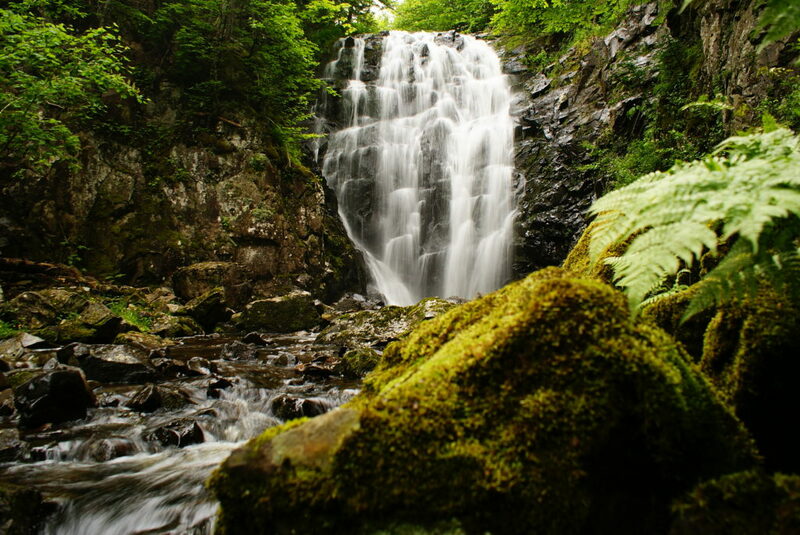 Legend has it that Norwegian pirates once used the falls as a campsite, providing them shelter from the elements in this narrow gorge and plenty of fresh water for cleaning and cooking purposes. Sometime during the 1970`s this “chimney“ eventually collapsed due to constant erosion and any remaining valuables were washed away. The question is, was there ever any real treasure buried in these cliffs? Was it just a few measly coins or something of significant value and importance? Only a handful of people know the answer and the pirates themselves never tell their secrets, making the mystery ever so intriguing. So while the rest of the country is being bombarded by snow we are receiving our fair share of rain. This time of year serves up a great opportunity to experience these natural wonders in full force. So what are you waiting for? throw together a lunch, stuff your backpack with some warm clothes and rain-gear, a thermos of your favorite hot drink and get out there and explore these beauties before old man winter settles in on us.